Shepherds Huts for Sale — Friends Farm Shepherds Hut Holidays & Shepherds Hut makers. Following the popularity of our holiday let, we are now offering luxury, bespoke shepherds huts for sale. Our basic hut starts at £8750.00 which includes a welded steel chassis with turntable and tow bar, cast iron wheels, 75 x 50mm treated stud work, double glazed windows and stable door, 7”treated feather edge external cladding, plastisol coated curved tin on roof,, reclaimed roof from a 1950s railway wagon, 60mm insulation board throughout walls, floor and roof, internal cladding and engineered oak floor, internal and external paint work. 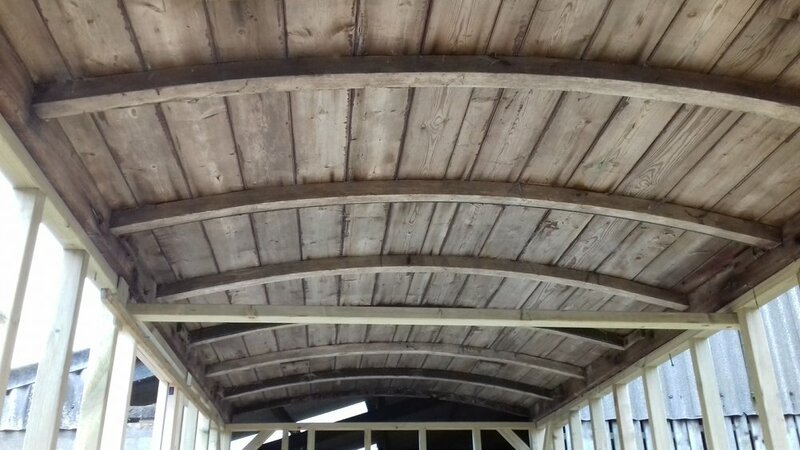 If available, we like to use the recycled roof from 1940/50s railway wagons, which is then treated to prevent decay, painted on the inside with chalk paint, insulated on the outside and then finished with new corrugated tin. 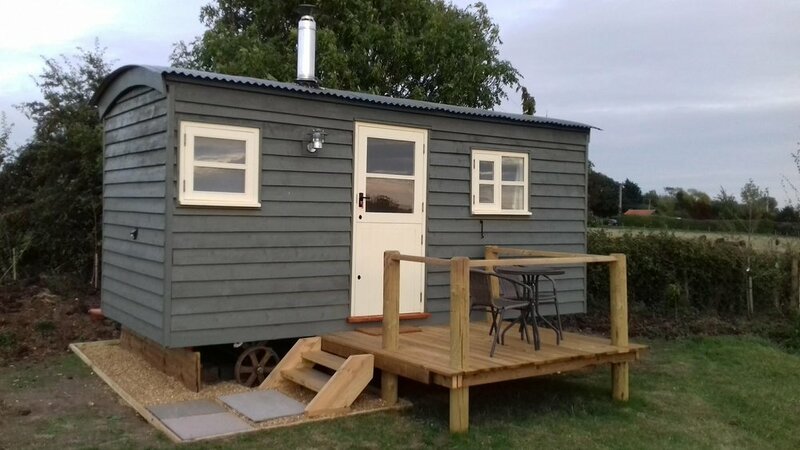 A welded steel chassis is then fabricated and fitted with a turntable and reclaimed cast iron wheels, and a tow-bar at the front allows the hut to be easily manoeuvred into position. 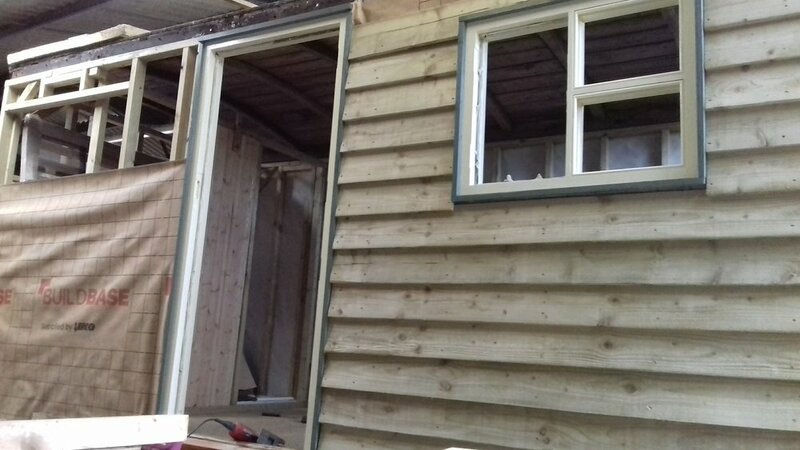 The carcass is made from 75mm x 50mm treated softwood, infilled with 60mm of insulation board and then covered with a breathable membrane before being clad externally with treated softwood weather boarding which is then painted with the customers colour of choice, or left to weather naturally. The interior walls are clad with tongue & groove effect, moisture resistant mdf. The base is made from 19mm plywood, which is then covered in engineered oak flooring. 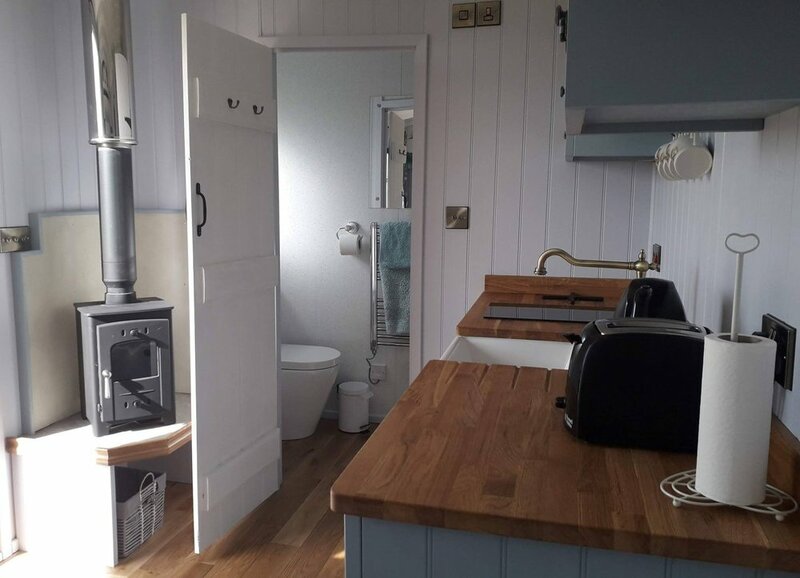 Huts can also be bought fully fitted out, with bespoke kitchen including dishwasher, microwave/combi oven, 2 ring electric hob, fridge, baby belfast sink, plate rack, oak work top etc. A mains toilet, basin and shower can be installed ready to be connected to customer’s own drainage system. Walls lined with high sparkle shower walling. Arada woodburning stove with stone hearth. Built in fold down wall bed, complete with mattress, and an oak gate-leg table. Full electric pack with consumer unit, LED lighting, cooker point and sockets, as well as all plumbing. Other options and sizes are available eg. home office, spare room, summerhouse, games room, hobby room. Get in touch to learn more.